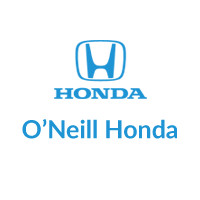 O’Neill Honda is a firm favorite among Leawood drivers in search of used Honda vehicles priced under 10K. There’s plenty to love about us – in fact, visitors are often surprised by the extensive range of non-Honda models found in our used inventory.That’s because, truth be told, we’re more interested in setting you up with a used model that precisely fits your needs than with pushing you towards a Honda nameplate. Deciding on price is one of the first steps when buying used, and plenty of budgets fall under the $10,000 mark. One of the advantages that comes with visiting a dealership is the freedom to choose from a range of such vehicles, plus the knowledge that reliability is assured. That’s why we always strive to maintain a strong inventory. Regardless of the mileage you’re looking for or the manufacturer you have your eye on, the O’Neill Honda team can hook you up with a used vehicle priced under 10K without cutting corners. Contact us today to explore financing, or feel free to schedule a test drive in one of our used models. Recent Arrival! AWD. Tango Red Pearl 2.4L I4 DOHC i-VTEC 16V 5-Speed Manual AWD 4D Sport Utility Element Honda Reviews: * If you love traveling the great outdoors and need a smart, affordable vehicle to transport you and your many pieces of gear without hassle, the 2008 Honda Element will work for you. Source: KBB.com 18/23 City/Highway MPG 2008 Give us a call today to schedule a test drive at (913) 945-1687!! O'Neill Honda is Kansas City's leader in pre-owned vehicles, customer satisfaction, & friendly service! Awards: * 2008 KBB.com Brand Image Awards 2016 Kelley Blue Book Brand Image Awards are based on the Brand Watch(tm) study from Kelley Blue Book Market Intelligence. Award calculated among non-luxury shoppers. For more information, visit www.kbb.com. Kelley Blue Book is a registered trademark of Kelley Blue Book Co., Inc. Ocean Blue Pearlcoat 2.4L 4-Cylinder SMPI DOHC 16V 5-Speed Manual FWD 4D Sport Utility 22/29 City/Highway MPG PT Cruiser Chrysler Reviews: * If you love driving something that pays homage to a great era in American cars, the PT Cruiser is your vehicle. You don't have to sacrifice for your kicks either, as the PT has loads of space, a clever adjustable rear shelf and a choice of normally-aspirated or turbocharged engines. Source: KBB.com * For those who want to cruise with more than one friend at a time, or more than just a couple of duffle bags, the PT Cruiser Convertible is a fine choice. A host of aftermarket parts and upgrades make this the perfect vehicle for the do-it-yourself stylist. Source: KBB.com 22/29 City/Highway MPG 2007 Give us a call today to schedule a test drive at (913) 945-1687!! O'Neill Honda is Kansas City's leader in pre-owned vehicles, customer satisfaction, & friendly service!